Mix all ingredients in 1-gallon insulated beverage container. 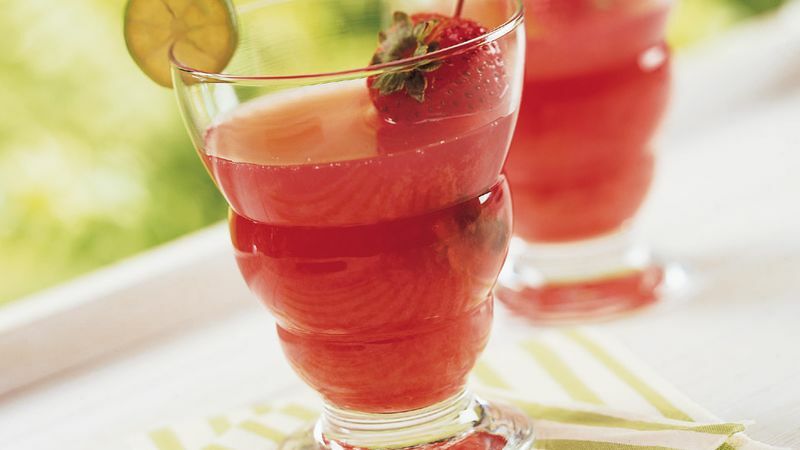 For a true margarita, stir 1 tablespoon tequila into each 1/2-cup serving of punch. Or for an adults-only punch, spike the whole batch by adding 1 cup of tequila with the other ingredients. You can use cranberry-raspberry cocktail for an easy substitute. Thaw the frozen concentrates just until they're soft enough to be scooped and measured. The icy concentrates will keep the punch cold.